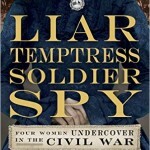 Paula Tarnapol Whitacre and I met for the simple reason that we both wrote books dealing with women who ended up in Alexandria, Virginia, in the Civil War. I wrote about nurses who served at Mansion House Hospital; Paula wrote about Julia Wilbur, an abolitionist and reformer. Paula is a freelance writer and editor, usually working for the National Academy of Sciences and National Institutes of Health. 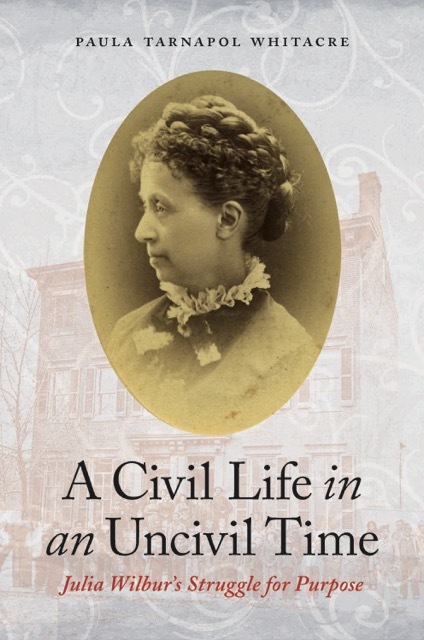 She published A Civil Life in an Uncivil Time: Julia Wilbur’s Struggle for Purpose in 2017 (University of Nebraska Press/Potomac Books). She loves giving presentations on Julia Wilbur’s world and is currently researching the interrelated lives of three other, accomplished 19th-century women. Paula is president of Friends of Alexandria Archaeology and is on the board of the Civil War Roundtable of Washington, DC. Do you think Women’s History Month is important? If the answer is yes, why? 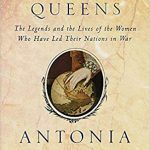 I have mixed feelings about dedicating a month to women’s history, because women (and men) should be studied and discussed every month. But until that more fundamental wrong is corrected, Women’s History Month does give us the chance to talk about women’s accomplishments that are otherwise forgotten. 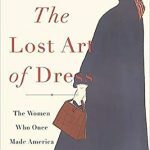 Even well-known women in the nineteenth century are often neglected by biographers and historians. What led you to a relatively unknown reformer like Julia Wilbur? Quite simply, geography led me to her. I live in Alexandria, Virginia, where Wilbur worked from 1862 to 1865. During the Civil War, African Americans could escape slavery by entering the city, which was Union-occupied from the first day of the war to the end. In researching the period, I learned about the diaries of this ostensibly “ordinary” person who had come from Rochester, New York, to assist and advocate for freedpeople. I started transcribing and annotating her diaries. 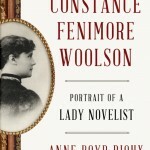 Historians had used her diaries as a valuable primary source, but there was no full-length biography about the woman who wrote her day-by-day account for literally decades. I decided to write it. If you could pick one woman from history to put in every high school history textbook, who would it be? Much as I would love every high school student to know about Julia Wilbur, I am going to nominate Harriet Jacobs. Harriet Jacobs wrote Incidents in the Life of a Slave Girl, based on her own experience, and published it in 1861. She came to Alexandria shortly after Julia Wilbur did, and the two worked for freedpeople together. Incidents has entered the curriculum of many courses, but I would love her whole life, including her time in Alexandria, to be studied alongside the lives of Frederick Douglass and other anti-slavery leaders of the time. So, Pamela—Given that we first met via your Mercy Street book, what did you find most compelling about women’s contributions during the Civil War? I believe that their role as reformers after the war is the most important part of the story, at least as far as the nurses were concerned. 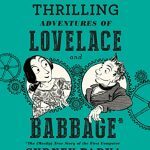 Many used their newfound experience at organizing, and at elbowing their way through bureaucracies to help change the world. 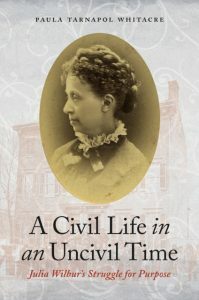 Cornelia Hancock, for instance, started a school for the children of former slaves in South Carolina. Other former nurses were active in building hospitals for women and children, reforming prisons and asylums, and providing vocational training for girls. They set up relief funds for war widows and orphans, and organized programs to settle unemployed veterans on farmland in the West. Some became active in the labor, women’s rights, and temperance movement. 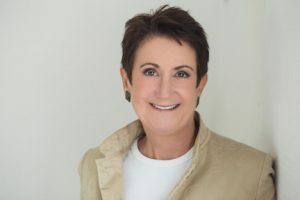 A few used their experience as a springboard to national leadership roles, founding groups such as the Women’s Christian Temperance Union, and the American Red Cross. 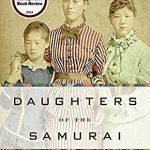 If you look at an American reform movement in the 20 or 30 or even 40 years after 1865, local or national, large or small, the odds are you’ll find a former Civil War nurse or two in the middle of things–or in charge. Interested in learning more about Paula Whitacre and her work? 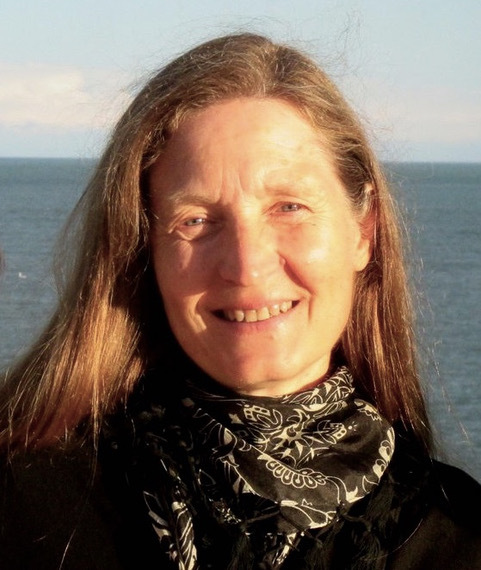 Nancy is the author of five general interest books and one young adult novel about Iceland and the medieval world: Ivory Vikings: The Mystery of the Most Famous Chessmen in the World and the Woman Who Made Them (published in September 2015), The Saga of Gudrid the Far-Traveler (the novel; published in June 2015), Song of the Vikings: Snorri and the Making of Norse Myths (2012), The Abacus and the Cross: The Story of the Pope Who Brought the Light of Science to the Dark Ages (2010), The Far Traveler: Voyages of a Viking Woman (2007), and A Good Horse Has No Color: Searching Iceland for the Perfect Horse (2001). She holds a B.A. in English (from the Writing Option, 1981) and an M.A. in Comparative Literature (with emphases in Arthurian Romance and Icelandic Saga, 1984), both from Penn State. 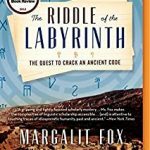 She turned to writing books full time in 2003, when she moved to a farm in northern Vermont where she and her husband, author Charles Fergus, keep four Icelandic horses and an Icelandic sheepdog. She spends part of each summer in Iceland, offering a history and culture tour in collaboration with the company America2Iceland. What’s your next book about and when is it coming out? I’m currently working on the story of a Viking warrior buried in Birka, Sweden in the 10th century. When DNA tests in 2017 revealed the skeleton was female, the scientific study sparked enormous popular interest and an equal amount of backlash from people who doubted Viking women could attain the level of military excellence represented by what was found in this grave: an axe, two spears (one long-hafted, one short), a two-edged sword, a clutch of armor-piercing arrows, their shafts embellished with silver thread (the bow decayed to dust), a long sax-knife in an elaborate sheath, a shorter knife, a whetstone, two round shields with iron bosses, a large bronze bowl, a comb, a set of elk-antler gaming pieces (placed in her lap), three traders’ weights, a crystal bead, a silver coin, two stirrups, bridle bits, and spikes to ride a horse on the ice, along with two horses, a stallion and a mare. She was buried with more weapons than any other warrior in Birka; more than almost every Viking in the world. Of those Vikings found buried with any weapons at all, 61 percent have one weapon; only 15 percent have three or more. Since 2017, when the DNA study turned “the dead man” into a dead woman, we’ve struggled with the implications. A burial with weapons and horses, we thought as late as 2008, used “a widely recognised symbolic language of lordship, one that was unquestionably masculine,” as one scholar put it. But to assume that all such “weapons graves” are male, it now seems, is a mistake—and one that’s skewed our image of the Viking world. In my next book, tentatively titled “The Valkyrie,” I take the liberty of naming the skeleton in Bj581 “Hervor,” after several famous warrior women in Old Norse poetry and sagas. 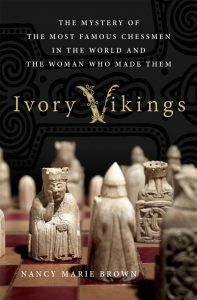 By reconstructing this Hervor’s life and times, using what archaeology can tell us about her skeleton and her grave goods and comparing that information with what we can glean from Old Norse literature and mythology, I reveal that Viking women had more power and agency than historians have yet imagined. Valkyries, shield-maids, and other Viking women with weapons have, until now, been explained away as symbols or myths or modern feminist wish-fulfillment. And yet, the sources that depict women with weapons—the images, the Christian-era texts, the ambiguous burials like Bj581 and the stray archaeological finds—are the exact same sources we have for the history of Viking men. 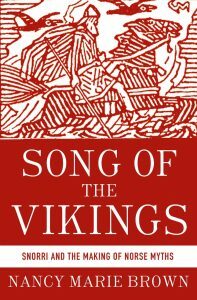 To write a history of the Viking Age at all means to read between the lines. To make educated guesses. To interpret and to speculate. To imagine what might have been. What would the Viking world look like if roles were assigned, not according to modern (or nineteenth-century) concepts of male versus female, but based on ambition, ability, family obligations, and wealth? In “The Valkyrie,” inspired by a warrior’s bones, I investigate that world. “The Valkyrie” will be published in 2020 by St. Martin’s Press. 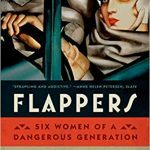 What do you find most challenging or most exciting about researching historical women? In spite of what most people may think, history books and books of non-fiction in general are not “true.” They do not, and cannot, capture the totality of what happened in any one place or time. Historians choose what to tell and what to leave out. That choice is an interpretation. But the process of interpretation only begins there. History books are not collections of facts; they are not lists. They are stories that stitch a set of facts together. The more facts, the closer the story may approach reality. But no matter how many facts a historian recounts in her book, it remains a story—an interpretation. And as such, it reflects her cultural biases. Until very recently, one of those cultural biases was to ignore women. “The history of the world is but the biography of great men,” the Victorian philosopher Thomas Carlyle proclaimed in 1840 upon reading Heimskringla, the history of the kings of Norway written by the thirteenth-century Icelandic chieftain Snorri Sturluson. Snorri likely would have agreed with Carlyle, especially with his emphasis on men—Snorri included very few women in his sagas. But Snorri did include some women—and very powerful women at that. 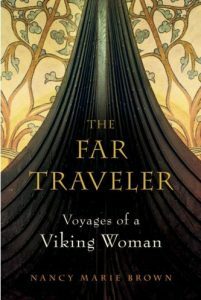 The challenge in writing about women of the Viking Age or medieval Iceland, as I do, is not so much finding them, but in stripping away the layers of interpretation that have grown up around them. Today our facts about women in Viking Age or medieval Scandinavia come from two sources: written texts and archaeology. We have Icelandic and Old Norse histories, laws, sagas, poetry, and myths describing the lives of these women, but the manuscripts still extant were written in the 1200s about women who (may have) lived in the 800s or earlier. Separating fact from fiction in these written texts is a matter of interpretation. We also have museum pieces and archaeological finds, discovered and analyzed over a period of hundreds of years using a variety of techniques. Again, deriving a set of facts from an object or an archaeological investigation is a matter of interpretation. We know the object exists, but do we know what it meant to the people of the Viking Age? 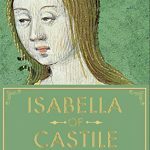 Why is it important to write the stories of medieval Icelandic or Norse women today? Let me give you an example. The Viking Age, I was taught, was an era of strict gender roles. The woman ruled the household: Her domain was innan stokks, “inside the threshold.” She held considerable power, for she controlled clothing and food. In lands where winter lasts ten months and the growing season only two, the housewife decided who froze or starved. The larger the household, the more complex her job. Managing the household of a chieftain who kept eighty retainers, as well as family and servants, was like running a small business. But for all that, the man held the “dominant role in all walks of life,” I was taught. His duties began at the threshold and expanded outwards. His was the world of public affairs, of “decisions affecting the community at large.” He was the trader, the traveler, the warrior. His symbol was the sword. The woman’s role, in turn, was symbolized by the keys she carried at her belt. There are a hundred and forty extant medieval Icelandic sagas; only one, recounting a feud from 1242, refers to a housewife’s keys. A Danish marriage law from 1241 says that a bride is given to her husband “for honor and as wife, sharing his bed, for lock and keys, and for right of inheritance of a third of the property.” A bawdy poem, in an Icelandic manuscript dated after 1270, describes the hyper-masculine Thunder god, Thor, dressed up as a bride with a ring of keys at his belt. These texts might reflect a pagan Norse truth. They might equally reflect the values of medieval Christian world in which they were written. We can’t tell. What the keys do reflect are the values of nineteenth-century Victorian society, when upperclass women were confined to the home and told to concern themselves only with children, church, and kitchen. The first Viking housewife with her keys appears in Swedish history books in the 1860s, replacing an earlier historical portrait of Viking women who were strikingly equal to Viking men. The Victorian version of Viking history has been presented since then as truth, but it is only an interpretation. Calling keys the symbol of a Viking woman’s status, these and other researchers now say, is “an archaeological misinterpretation,” “a mistake,” “a myth”—and a dangerous one. By accepting the nineteenth-century stereotype of men with swords and women with keys, archaeologists legitimize the idea that women should stay at home. They reduce the role models for every modern girl who visits a museum or reads a history book. 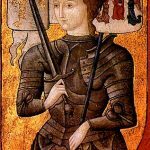 They make it easy, for example, for scholars to dismiss as unrealistic the warrior women found in every kind of medieval text that depicts Viking society—history, law, saga, poetry, and myth—and, since the 2017 the DNA test of the warrior in grave Bj581 in Sweden, attested to archaeologically. Question for Pamela: Who is the Viking warrior woman in your new book, Women Warriors, and how did you uncover her story? I deal with the Birka Woman and the women buried with the Oseberg ship as part of a larger discussion of the ways in which archaeologists have historically assumed that sword=male, and the twisty thinking that has resulted when they have been forced to admit that female remains were buried with weapons. Like Nancy, I spent a lot of time reading archaeologists’ reports, though I probably struggled more than she did with the scientific details. Interested in learning more about Nancy Marie Brown and her work?